Do you agree or disagree with your state’s rankings? US News and World Report ranks Iowa Number 1. 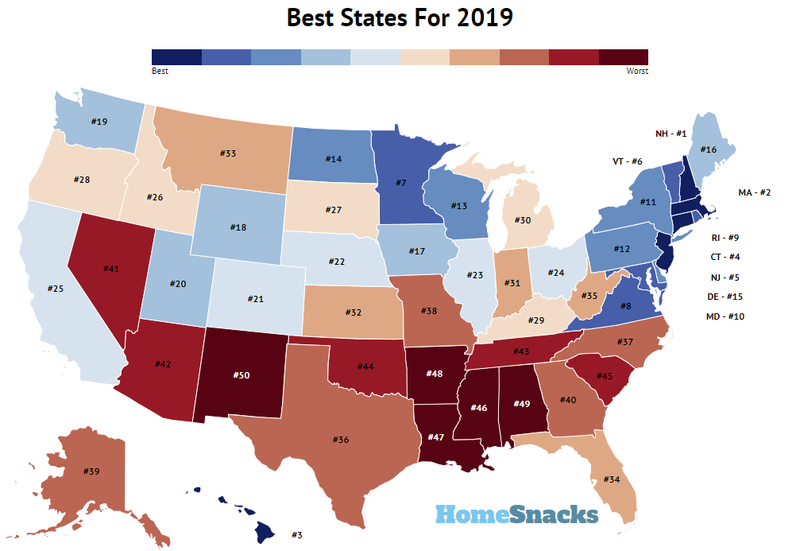 Four states: Minnesota, Massachusetts, New Hampshire and Vermont tend to frequently appear near the top. One thing I can say about Minnesota is that there are many strong suburbs in a 40 mile radius of the Twin Cities hubs.